Fall is here! In South Florida, that really just means the mornings drop from 88 to 78, and it takes 20 minutes to start sweating instead of 5. But hey, take what you can get. Actually, the mornings have been quite lovely. If you’ve lived here long enough, you can smell fall in the air! Along with fall comes my favorite part; fall decorating! Ok, actually it’s fall cooking – soups, stews, breads, mmm…but decorating is a close second. I love all the little pumpkins and gourds that start showing up everywhere. So, here’s a little chart I came across to help keep them straight. Same here in Texas. I’ve been reading about people already getting snow and here I am in a tank and sandals. 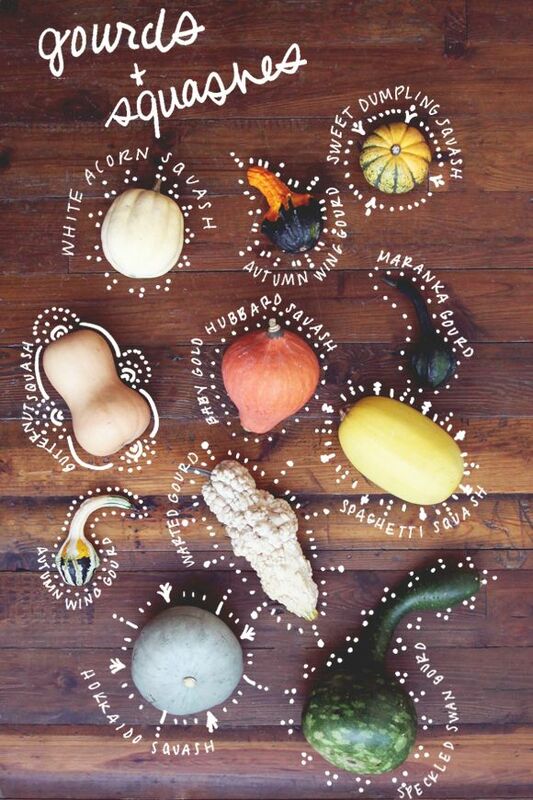 Gourds and squash really are quite beautiful and I love the way you displayed them. Next Next post: New Cook Book!